This book is a deep warm caring book, telling the story of h .. This book is a tour de force of personal experience. 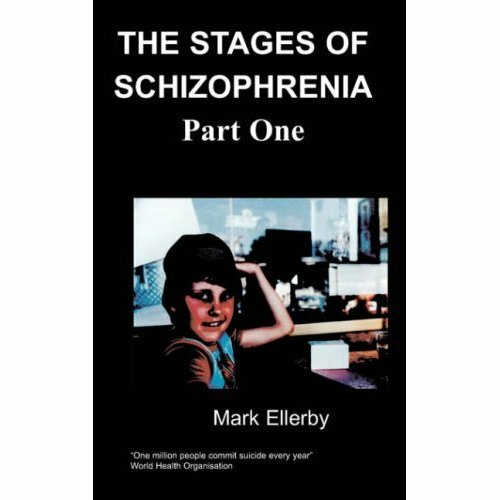 John takes the reader through the story of his life, beginning with his childhood in a family obviously full of love and yet, at the same time, suffering with the schizophrenia of the father. John offers us a slice of history as his story begins in 1926, with the birth of his father. The reader is reminded of the past conditions facing all of society, including the sufferers and carers of sufferers of mental ilness. But in the end this is a story of love and family and of one man's bravery and ability to overcome all odds. For these reasons and many more this book is an essential addition to the Chipmunka shelves. John Carrigan is an actor and a martial arts instructor. Born at the Elephant and Castle in South London in 1957, he grew up surrounded by his father’s illness, “schizophrenia”, which affected every facet of his family life. John began training in the martial arts in 1972, studying the Chinese arts as well as Karate and went on to become a 3rd Dan Karate Black Belt, also gaining rankings in several other martial arts along the way. John was a great follower of the legendary Bruce Lee so he went to the USA to seek out the original students of Master Lee. He was accepted as a student under Sifu Richard Bustillo and went on to become a full instructor in Bruce Lee’s Jeet Kune Do. John still practises the martial arts today, running his own school in England, teaching the art and philosophy of JKD. John first got bitten by the acting bug in 1970 while still at school, when he and some of his fellow pupils were chosen to be in a feature film called Melody, but it was not until 1982 that he began to pursue his second passion in earnest. John had put his martial skills to use by becoming a bodyguard to many celebrities and dignitaries, and it was after acting as security for the cast of the original Star Trek TV series that John was introduced to Star Trek’s creator, Gene Roddenberry, who inspired and advised John to Boldly Go and become and actor. Following Gene’s advice, John tested for and won a place in a stunt team called The Stunt Action Service, which led to years of touring Britain and performing live stunt and stage shows. During his time with the team, John also began to study Drama and eventually earned a coveted Equity Card. He left the team to concentrate on the big and the small screen, appearing first in small walk on parts and in stunt work and continuing onward and upward to leading film and TV roles in the UK and abroad, roles which have included acting in a remake of the classic series, Star Trek. 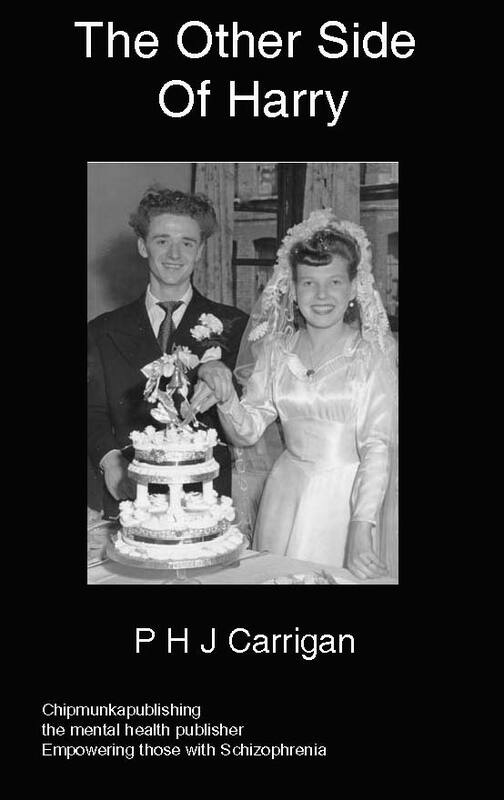 Our story begins with the birth of Henry Daniel Carrigan on 20 April 1926, at No 17 Jane Street in Southwark, London, born to parents John Carrigan and Amelia Ward who at that time were not married. My father Henry (who we will call Harry for the rest of this book) was one of eight children, four boys and four girls, the youngest of which Eileen died when she was only seven years of age. The other important birth in that same year was that of Margaret Lillian Healy, born on 18 January 1926 at No 6 Gabriel Street in Southwark, London, born to parents John Healey and Margaret Healey. My mother Margaret (who everyone called Maggie) was one of ten children, three boys and seven girls. My dads family moved into Gabriel St where my mums family already lived, which meant that all the children ended up going to the same school together, it was at that school where my parents first met. All the Healey children got to know all the Carrigan children (which sounds like the beginning of a Fairy story), but in the pre war days the close knit street communities really did get on a lot like the Walton’s, and people really did not bother to lock their doors. The World was a different place then. In his youth my dad was quite the ladies man, with many girls trying to win his attention, which he gloried in to the point of arrogance, my mum on the other hand, although a very beautiful girl, talented acrobat and tap dancer, was quiet and turned down the many boys who also flocked around her, because as she told me many times, she only really ever had eyes for Harry. In those early times just before the war many working class children left school very young, at around fourteen years of age, and so it was with Harry and Maggie. They managed to get a job together sorting through mountains of old rags and clothes, my dads job was to stuff them into big bins and then jump them down, my parents were also very active in their respective hobbies, dad took up boxing and football, he also started to dabble with the piano, not in any classical sense but in the grand old tradition of the pub sing along, he later grew into a very talented pianist. My mum’s hobby of acrobatics and dancing led her to join a respected dance troop called Madam Terrie’s, she loved to tap dance and really wanted it to be her career, which lead her to audition for a very well known dance troop who had been on the bill at the London Palladium. Young Margaret was over the Moon when she won her place, she was going to be one of the twenty tiny tappers dance troop which would have taken her into a life of show business. But it was not meant to be, the war broke out and all normal life came to an end and nobody knew for how long. Dancing became a thing of the past as surviving became top on everyone’s list. Harry was called up and my mum’s dancers were disbanded while everyone fought just to survive. I was told many War stories by my parents, of life sleeping in the underground stations, of German planes machine gunning the hop picking huts in Kent because they thought they were Army barracks, and of watching the battle of Britain live over head as my parents families picked fruit and hops on their annual holiday during 1940, the only holiday many Londoners ever had, including myself up until my early teens. But for my dad the war held a bitter memory, one I did not find out about for many years. My dad was enlisted into the Royal Fusiliers, and from what I could gather did his training well, but when it came time for him to go over sea’s to fight, he along with his best army buddy deserted, I never got to know the reason why, but from the man I came to know in later life I do not think it was because of fear alone, but I would not have blamed him if it was. Like so many others he was thrown into that terrible war while still only a boy himself. After deserting his own mother would have nothing to do with him so my mum’s mother (a lovely woman by all accounts) hid him and looked after him until she persuaded Harry to give himself up. When he did this he was promptly court marshalled and sent to a harsh military prison, if he had deserted after he had gone abroad he could well have been shot. My mum and her family stuck by him and were his only light at that dark time, maybe a forewarning of things to come.